At kapadaa.com, the 3D secured online shop for Nepali Cloths, our major concern is to do the business in a secured way. We believe in the best customer service to keep the business sustainable for longer terms. 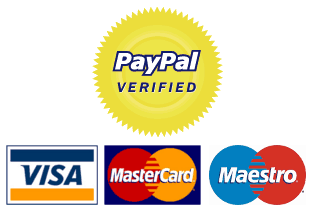 We have internally recognized service provider who guarantee your card payment security. Even we, as a company ourselves, do not have any control over your debit/credit card details since it is processed through 3D Secured Online Payment Gateway System for all debit/credit card payments, PayPal or eSewa to ensure that it is fully safe and secured payment method for you. It is simply illegal to hold or share your personal payment details and we are abided buy the law not to do so. Hence, we do not compromise your security at any cost. At kapadaa.com, the security system when you shop online on our website is considered to be the most important task in our business. This, we believe, keeps us longer together in the business. So, we would also like to share the information how do we actually protect the information you provide us. At the time of your purchase, the system offers you the use of an advanced and 3D Secured server, which uses the software that encrypts entire input before sending to us. Furthermore, the debit/credit card information is encrypted before an order is processed and after it is stored on our database, as an additional security measure. We must and we do guarantee to comply with the standard procedures and requirements under the UK Data Protection Act (DPA) 1984 and 1998 to assure that any personal and confidential information is kept secure and processed lawfully and fairly as per the notion of legal criteria. To check the security of our website, please have a look in the lower bar of your browser at the time of filling your payment details. You can see the closed padlock or unbroken chain indicating that the encryption is active and whatever information you will provide is safe and secured. Please do not send any debit or credit card details by any form of standard emails or virtual social medias but use the facility of 3D Secured payment system on the website.